1 night accomodation in Moree. 2 nights accommodation in Lightning Ridge. 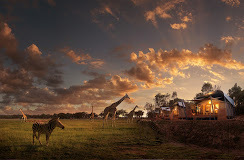 3 nights accommodation at Dubbo with an overnight stay at Taronga Western Plains Zoo. There is the option to upgrade for Animal View Lodging or Savannah stylish, spacious Cabins, at only $40 per person – limited number of rooms available. 1 night accomodation in Tamworth. 18 main meals & 7 morning/afternoon teas. Entry into all events listed. Travelling with Jacaranda City Coaches with amenities. Comprehensive guided tours of Lightning Ridge and Dubbo. Local tour guides. We meet our fellow travellers and depart from The Sir Earle Page Library, Pound Street, Grafton and make our way over the scenic Gibraltar Range, travelling the Gwydir Highway. At Glen Innes we will enjoy a delicious Morning Tea provided by Helen Morgan. We continue west to enjoy lunch at Copeton Dam. Mid afternoon arrival at our accommodation allowing time for a therapeutic soak/swim in our Motels’ private Hot Artesian Spa Pools. We begin our coach travel and continue west/north to Lightning Ridge where on the way we will have morning tea at Collarenebri. A stop at ‘Stanley the Emu’. Lunch at the Lightning Ridge District Bowling Club located directly opposite our accommodation. After check in to our motel we are picked up by Outback Opal Tours and will enjoy a 3 hour guided Lightning Ridge—town tour taking in: Amigos Castle; Walk in Mine Opal Adventure and Opal Cutting Demonstration. Tonight we are in for a treat at The Hidden Gem. We will be warmly welcomed by our hosts, Melanie Hall & Susie Carcary (re-known Bush Poets) for their Camp Oven Stew and Damper Dinner plus Pudding for Dessert with Billy Tea and Coffee. Thereafter, a concert show with Susie & Mel at their Hidden Gem Bush theatre. This morning a second & last Tour opportunity to emerge our bodies into the Artesian Bore Baths, located just on the outskirts of Lightning Ridge. Today we have a full day touring with local tour guided Outback Opal Tours. Places we will visit ‘The Chambers of the Black Hand’, Devonshire Tea at the ‘Pub in the Scrub’, Sheep Yards at Lake Beard near Grawin. Sheep Yard Inn (Photos—100 quirky things to look at here). Lunch at Glengarry Hilton. Fossicking if time avails. And a group photo at the ‘Welcome Cement Mixer’. This morning, we will enjoy our morning tea at the delightful spot, Café 64, Walgett. Tonight, overnight at the Taronga Western Plains Zoo. On arrival enjoy free time to settle into your Zoofari Lodge which is a unique accommodation setting over-looking the African Savannah. Tucked away from public areas, Zoofari Lodge consists of a series of 15 African style tented luxury lodges (10 Animal Views, 5 Bushland Views) located adjacent to the Main House where you will find a fully licensed restaurant, bar, lounge room, library and saltwater swimming pool OR the Stylish and spacious Savannah Cabins with an outlook across natural grasslands. Each cabin features 2 bedrooms and 2 bath-rooms. Set 400 metres from Main House. – Afternoon Safari Tour—we will see an array of African animals including exclusive behind-the-scenes areas. – African banquet dinner served in the African in-spired Main House. Throughout the tours you will learn all about the animals’ history and habitants, and their future in the wild. Thanks to the knowledge of your guide, you’ll get to know the animals’ individual personalities with all their quirks. You can set your alarm or just rely on the Zoo’s wild-life alarm to wake you in the morning! 7am approx—Our Early Morning Jaunt Tour. In the tranquil beauty of sunrise, you will be taken behind-the-scenes to join the Giraffes as they munch breakfast from your hand, then to the Black Rhino before stopping off at the Asian Elephants. An African-inspired buffet breakfast awaits you on your return to the Main House. With luggage on board our coach , we depart our over-night lodging and today, to enjoy this vast 300 ha zoo with over 1,000 animals our coach will become a ‘Hop on, Hop off ‘ mode of exploring the zoo. The Coach will drive us from one animal encounter to another at the designated feeding times under the guidance of a ‘Friends of the Animals’ tour person. Mid afternoon we fair-well the zoo and make way o the peaceful, serene, awesome property of Dundullimal Homestead. On arrival, Devonshire afternoon tea follow by guided tours of this 1840’s ‘Step back in time’ property. Dundullimal Homestead is Australia’s oldest timber slab homestead and Dubbo’s oldest building open to the public. Tonight we dine at ‘Club Dubbo’ with panoramic views of the city with a population of over 55,000. A visit to Dubbo Royal Flying Dr Base Visitor and Education Centre. Guided tour of the Japanese Garden & Sensory Garden with volunteer/s from ’Friends of Dubbo Regional Botanical Gardens’. Free time at the Cultural Centre. Guided tour of Old Dubbo Gaol. Our accommodation is only 650m from the Old Dubbo Gaol and shopping centre. Plus across the road from the Dubbo RSL Club. Lawson Mate Show and Morning tea at the Prince of Wales Opera House. Scone for lunch and time to visit a boutique shop or two!!! Our coach heads north homeward bound with tonight’s stay at Ibis styles, Tamworth with a free hospitality corner with coffee machine. And locate a short walking distance to Tamworth CBD. Our last day commences with another yummy buffet breakfast. Armidale for free time at the Armidale Plaza shopping Mall. Lunch at Ebor Falls and our expected time of arrival back in Grafton5.30pm – ish. Please use the form below to enquire about this tour.